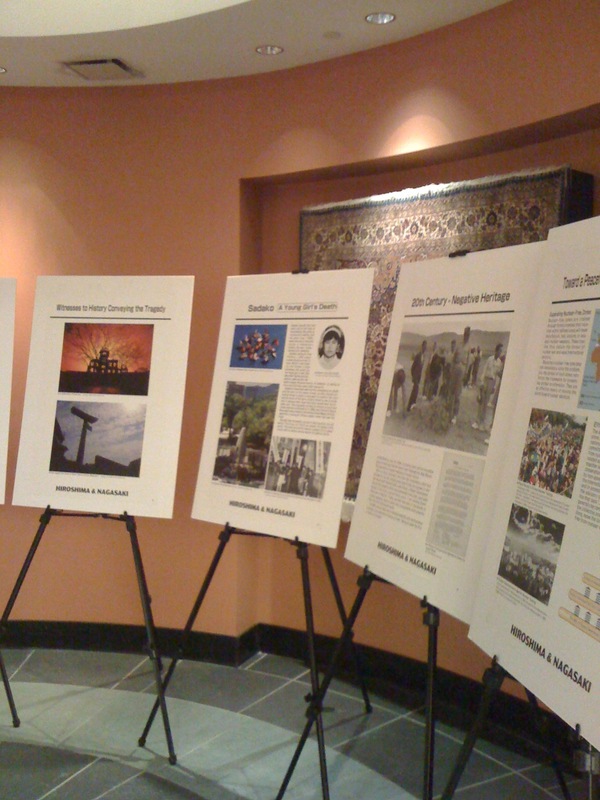 Upper Hudson Peace Action is seeking public spaces to exhibit a display produced by the Hiroshima Peace Museum. The display can be set up in churches, schools, universities, libraries and other locations. The purpose of the display is to remind the public of the destructive power of nuclear weapons and the need for nuclear disarmament. The display focuses on the only time such weapons have been used; but today nearly 24,000 nuclear weapons remain in existence, threatening the world with utter annihilation. The display consists of fifteen 24″ X 36″posters (mounted on 30″ X 40″ foam boards; along with easels to hold the posters. Supportive materials are also available. If a particular space is too small for the entire display, a portion can be shown. The exhibit can be set up for a day, a week, or a longer time.